Another year is over, and as I look back at my running and racing I feel some surprised wonder. It’s not that I ran particularly fast or far. I suspect I’m very close to average by many measures. The surprise and wonder come from realizing running has become a seamless part of my life. Training for spring races, running a 4th of July weekend 5K, and picking my next marathon have become as natural to me as planning projects at work or celebrating a birthday. It’s part of what I do. All this from a girl who couldn’t stand “long runs” of two miles at track practice. It’s good things can change. Sure, I still have days where I sleep later instead of going for a run, but usually I choose the run. I know it makes my body and mind feel better, and I know I’m blessed to be able to do it. My gains in speed are smaller than they once were, but with hard work and a dash of grace I can see progress. I enjoy the seasons of running, too. It’s fun to be an adult and still get excited for brisk fall running or an upcoming race. I hope to prepare for spring and fall running season the rest of my life. I know some years will bring less running than others, but that’s a normal part of the journey. 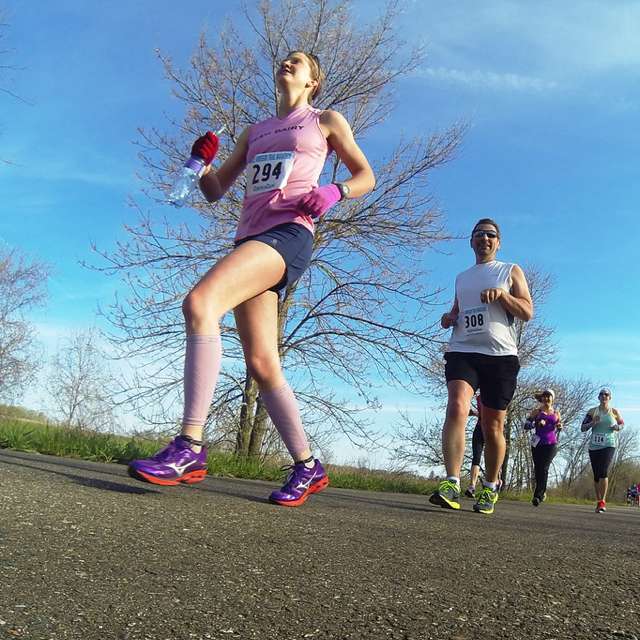 I ran nine races this year, most of which I wrote about here on the blog. I don’t want to re-invent the wheel, but I will reflect on a few highlights. 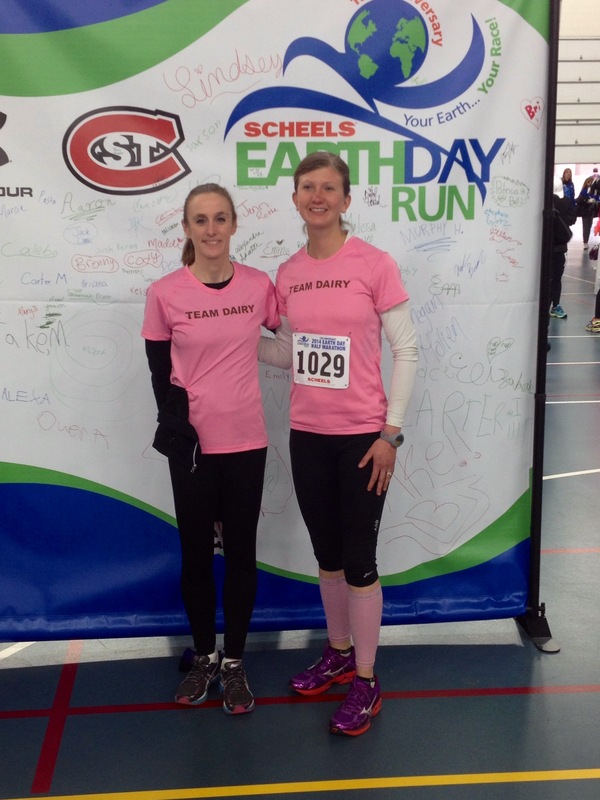 When I ran the Earth Day Half Marathon it marked five in a row. I definitely didn’t realize the trend I was starting back in 2009, but I keep coming back for the great organization, close location, and motivation to be in racing shape by mid-April. I missed my main goal for this race by about 30 seconds, but I still felt satisfied in my effort. 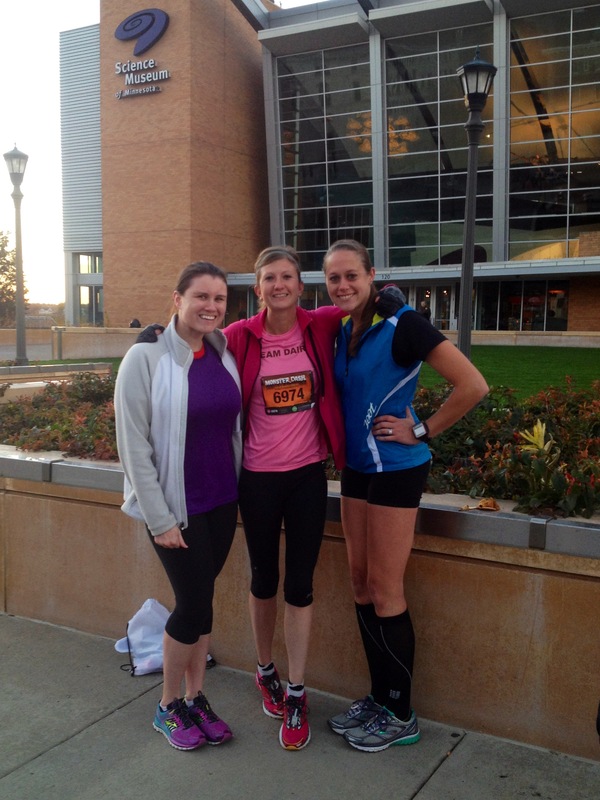 The best part was meeting up with fellow Team Dairy runner Lisa who was running her first half! The biggest shock of the year was running TWO marathons. I look back and still hardly believe it went as well as it did. 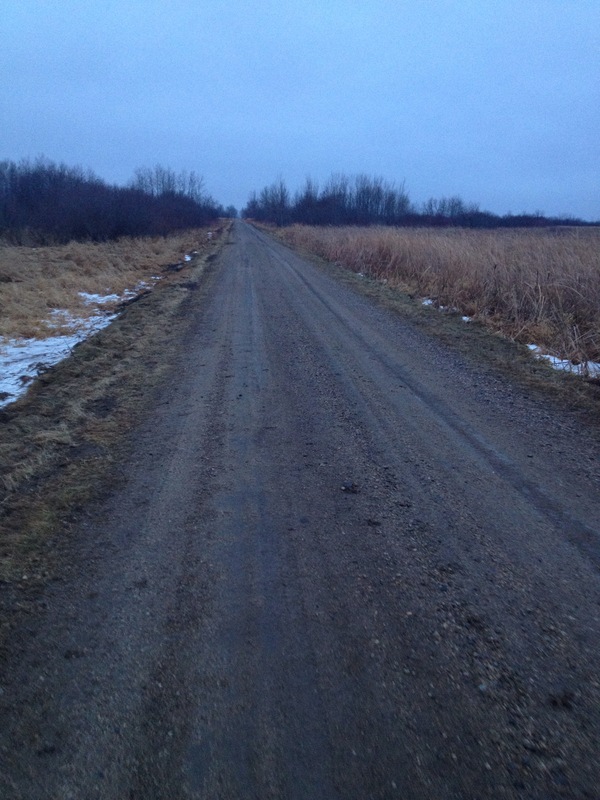 Lake Wobegon Trail is a true gem, and it’s a local race I definitely hope to run again. It meant a lot to have my family — my parents and JR — at the finish, but my 4:03 time left me yearning to try again. 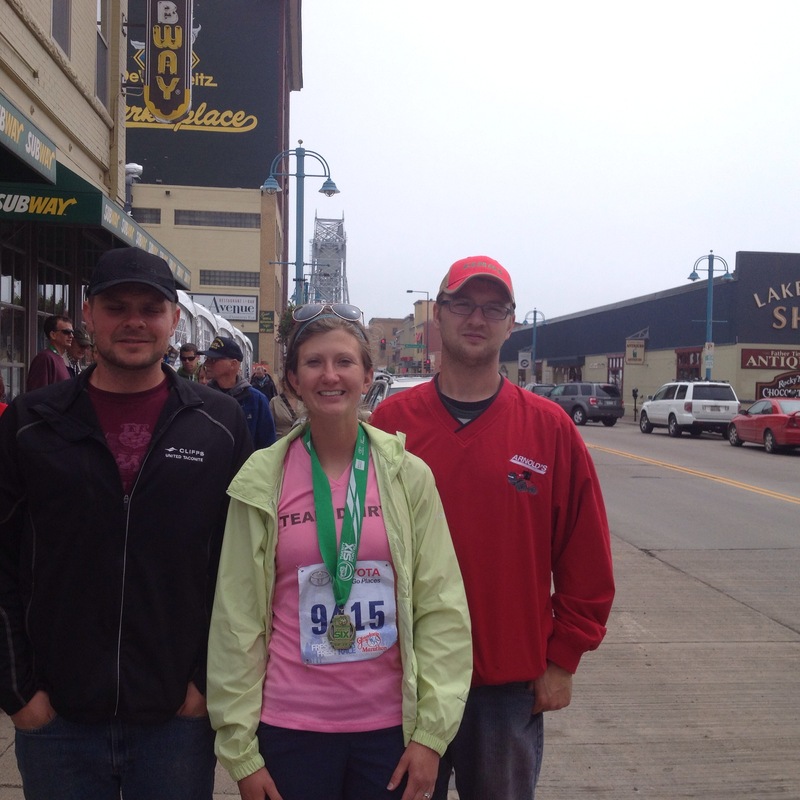 Six weeks later I got the chance at Grandma’s Marathon in Duluth. With mere seconds to spare I finally broke four hours by finishing in 3:59. 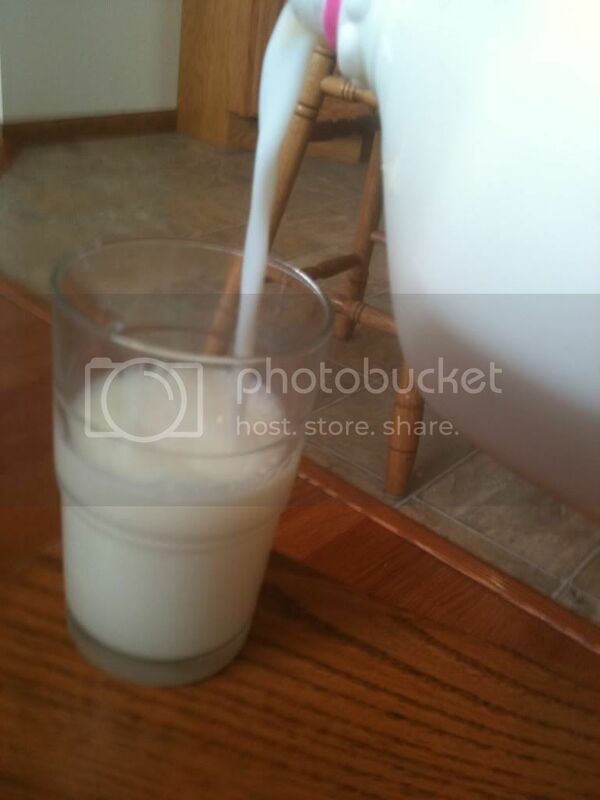 It hurt, and it felt amazing. I still didn’t get that illusive 5K PR, but I got much closer than last year. I also finished as first female for the first time ever. Breaking that makeshift “tape” was thrilling — even in a very small 5K race. I got my first chance to race in Team Chocolate Milk orange this fall at Esprit de She. 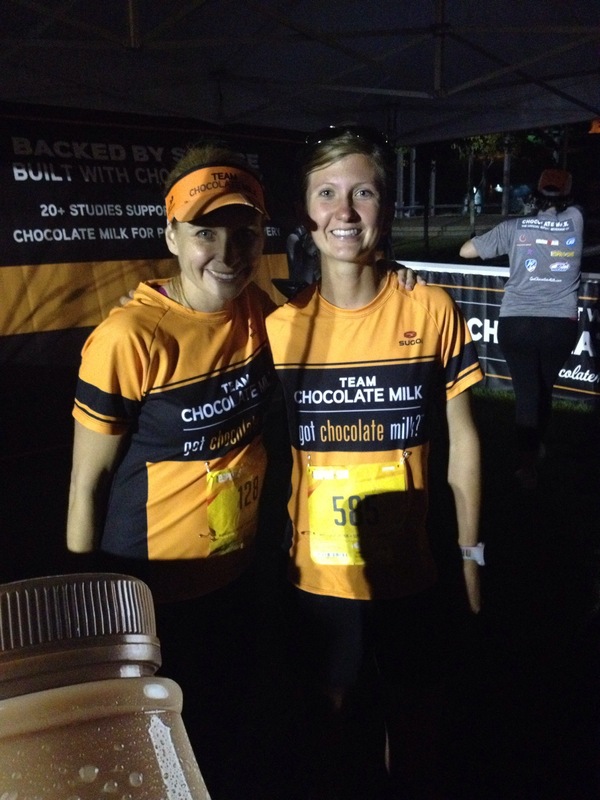 I loved meeting some other team runners, and I was proud to show my chocolate milk pride! More meaningful than even the finish lines this year were the chances to connect. I met some great people along the miles, and I have friends I continue to connect with online and at races. I feel like a broken record when I say it’s about the journey, but it is. Everything in life is about the journey. The milestones make it more exciting and fulfilling, and the journey still continues on. Friends at Monster Dash this October. I don’t have definite spring race plans yet like last year. I’m hoping to increase my mileage throughout January and see how things play out this winter. I’m tossing around the idea of 50K (ah! ), but maybe I’ll stick with 13.1 or 26.2. It feels good to be flexible right now. My main fitness goals for 2015 are to run a PR for at least two distances, bike more with JR, and continue doing yoga (which I started this fall). I still love running best, but I know some variety is good for the body. These should provide direction without too much structure, and I hope they will make for a great year. Here’s to 2015. 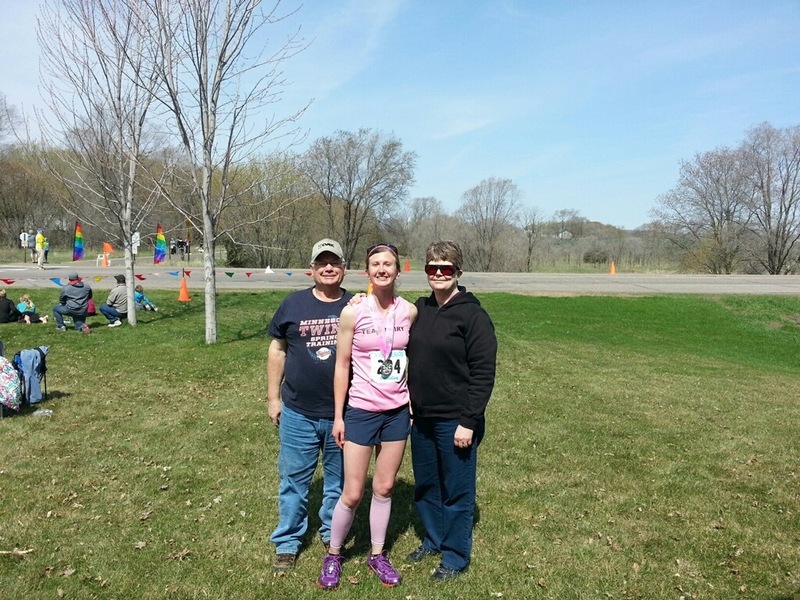 This entry was posted in Race Reports, Running and tagged Minnesota runner, running blog, running in 2014, yearly running recap. Bookmark the permalink. You are a rock star runner! The list of races you’ve done for the year is truly impressive, because it’s not just the race. Like you said, it’s the journey (and the miles and HARD work) to get there. I’m glad to have you as a running friend. Here’s to a great 2015! Yes, cheers to 2015! I’m so glad we know each other, and I hope we can run together again sometime. Stay warm; it looks like a frigid stretch this week! What a great running year for you! Keep it up. Thanks Kathy; I hope to keep it up.